The e-Learning Unit (eLU) are currently exploring the implementation of an e-portfolio system at St George’s University which aims to automate processes, providing an effective tool to foster student engagement with learning, reflection, assessment and planning activities, as well as to facilitate institutional monitoring of learning, and control of program accreditation processes. 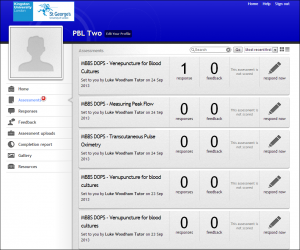 We are currently trialling the e-portfolio system software from MyKnowledgeMap called MyProgess and, as January this year, we have run pilots in the final year Critical Care and fourth year Pediatrics attachments of the MBBS course. MyProgress (formally known as ReallyManaging Assessment) will allow students to use their own mobile devices to record the results of their workplace based assessments (WBAs) when they are out on a placement. Students “own” their own data. 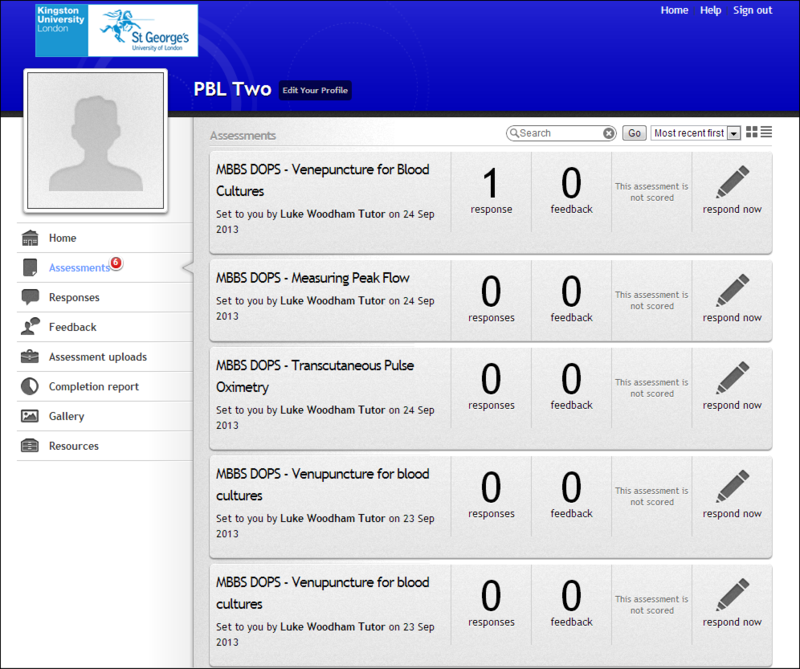 Provide learners with real time access to their progress. Ability to identify own opportunities for learning, reflect upon own practice. Evidence of own progress facilitates transition to clinical practice. Evidence submitted directly to academic tutors, tools for returning comments.